It’s that time of the week again, get down to North End Pub tonight for some free pinball! We will be dropping off a new game that will only be visiting for a few weeks called Wild Fyre, way cheaper, more fun, and more real than the FYRE Festival ever was! Also, remember FREE PLAY WEDNESDAY is a great time to get your scores entered on The Shadow and Monster Bash for this month’s Selfie Tournament. 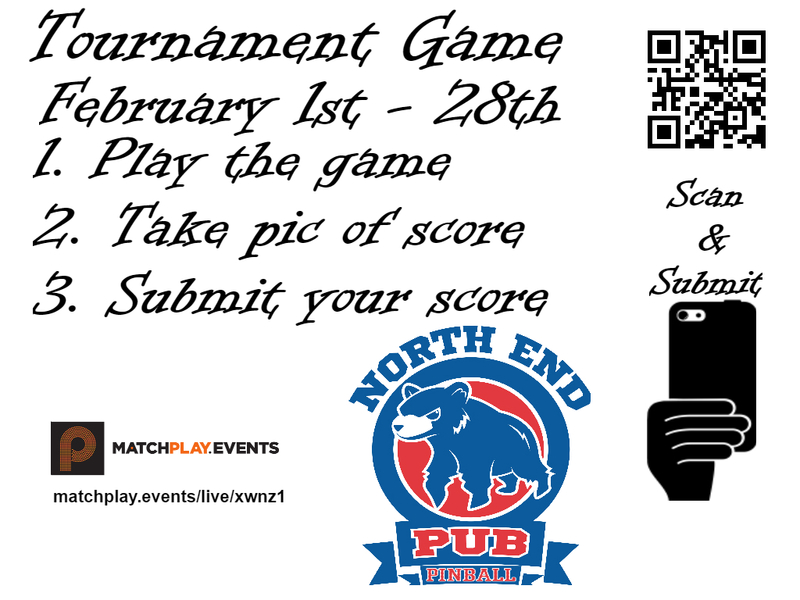 Take a picture of your score and submit it online or feel free to text it to me or post it to our Facebook Page to get it entered for your chance to play in the finals! Tomorrow night we also have Team League so a great chance to get in some practice with your friends this evening!